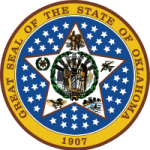 Parents who do not have custody rights to their children or child they want to offer support to in Oklahoma can know how much they will be contributing without having to visit the offices of child support in person. It saves time and offers a reliable platform on which child support services can be put to effect with ease. Step 2: Enter the details by filing the form as required. Step 3: Tap the submit button.